Encourage parents, caregivers and children to learn together. Develop life, literacy and language skills to achieve their potential goals in becoming successful productive citizens. Parents are the soil that plant the first seeds of hope for their children to become lifelong learners. Since the ''birth'' of the Luv Bears and CAN-DO KIDS in 1997, our program has grown into statewide phenomena! The combination of education and entertainment for the purpose of making learning fun! Our Bear Hugs on Rugs are unique Friendship Star Bears. 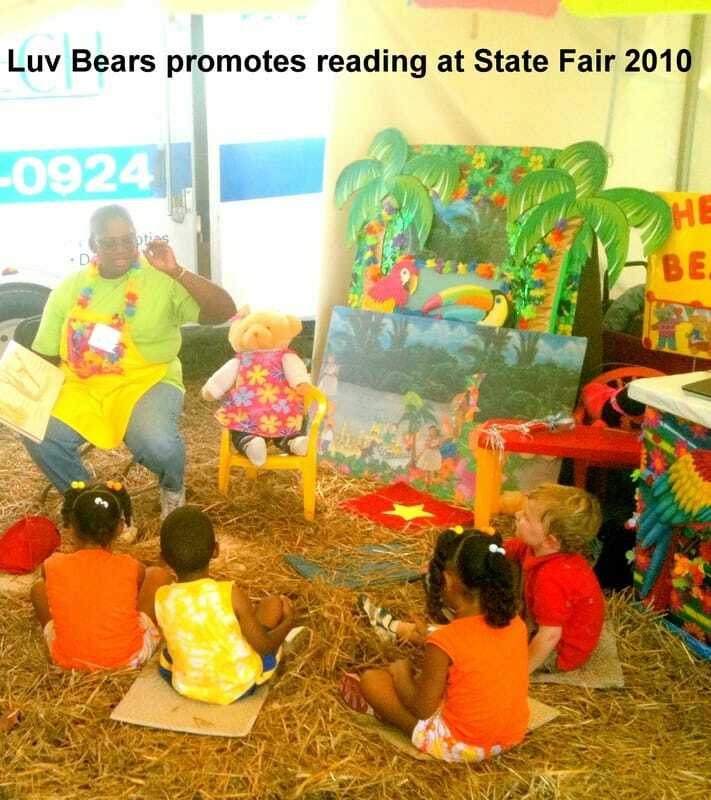 They gave children a courageous hand-up on their literacy skills while being entertained at the State Fair. We are in a new season after a seven year journey with our CAN-DO KIDS teaching toolbox characters. Today, we are working at the Sunshine Den under the huge umbrella using our skills. They have evolved into Uniquely Skilled Enterpreneurs teaching others to chase their dream. We will continue to plant seeds of hope, empower knowledge and spread our Luv Beary Messages. Our teaching toolbox characters will still continue to share their positive life lessons learned that sparked their light. Contact us so that your family can enjoy our new handcrafted, creative interactive, multi-purpose Penny Pockets 2-Go, Story Hand of Courage, and other signature items. ​Also learn about our new media center tools and opportunities. For more information click on the tools tab. EeParagEraph Text. Praesent commodo cursus meeagna, vel scelerisque nisl consectetur et.